$45.00 per player, each player gets Entry, Limited Edition Patch, and T-Shirt. LIMITED SPOTS AVAILABLE. Available on April 14, 10AM-5PM ONLY. This ticket is good for Special Forces Team. 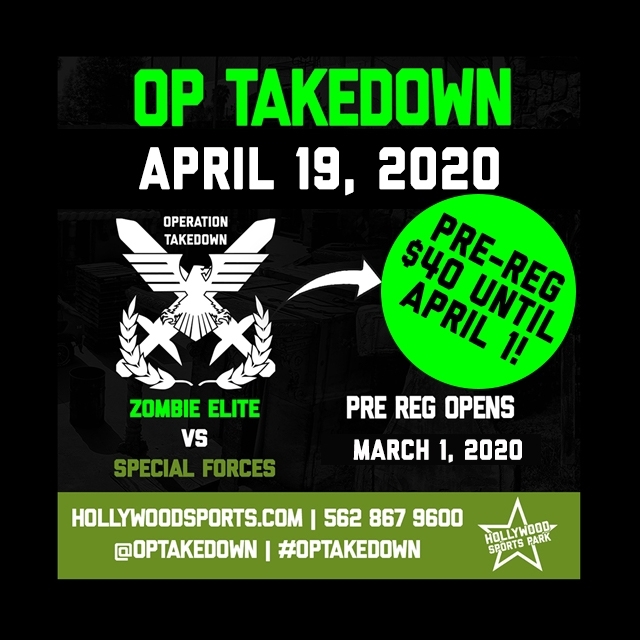 Group Duration: Operation Takedown Scenario Event ADDITIONAL INFORMATION: Players must be at least 10 years old to play. Zombie Elite v Special Forces.